A new, easy way to get lawn mowing and more in Broken Arrow. We currently have no rainfall data available for Broken Arrow, OK. Broken Arrow is the largest suburb of Tulsa, OK, straddling Tulsa and Wagoner Counties. This city is more than a side note to Tulsa,. We've got plenty to keep us here in town. Take time to experience everything that Broken Arrow has to offer. Home to the Ray Harral Nature Park, there's plenty of gorgeous scenery and wild outdoor spaces to explore. The nature park covers 40 acres with a number of jogging and hiking trails. You'll also find a nature center, fishing access areas, and picnic spots. Haikey Creek Park is another popular spot for picnickers and also features an 18-hole championship disc golf course. The city is also a gateway to Beavers Bend State Park, where you'll see black bears, bald eagles and plenty of pine forest trails. The Forest Heritage Center Museum takes a look at the history of forestry in the region and the role it plays in modern life. Broken Arrow is also home to many historical sites, including the Military History Museum. The Museum sponsors regular events, making it easy to learn more about the heritage of the area. You'll see local and regional artifacts along with special traveling exhibits. The 1884 Gardner Mansion & Museum features Native American and pioneer artifacts. If you love fishing and boating, check out Broken Bow Lake cast your line for some largemouth bass. Then stop by the Hochatown Petting Zoo for some selfies with the bunnies, raccoons and flying squirrels. If you live in Broken Arrow, you might find yourself overwhelmed by all the different things there are to see, do, and explore. But finding time for yourself doesn’t have to be stressful. Consider outsourcing some of your least favorite tasks to LawnStarter - the premier name for all things lawn care in Oklahoma. At LawnStarter, we believe quality lawn care doesn’t have to be inconvenient or expensive. We work with you to design the lawn care strategy that works best for you, and it’s easier than ever to get started. 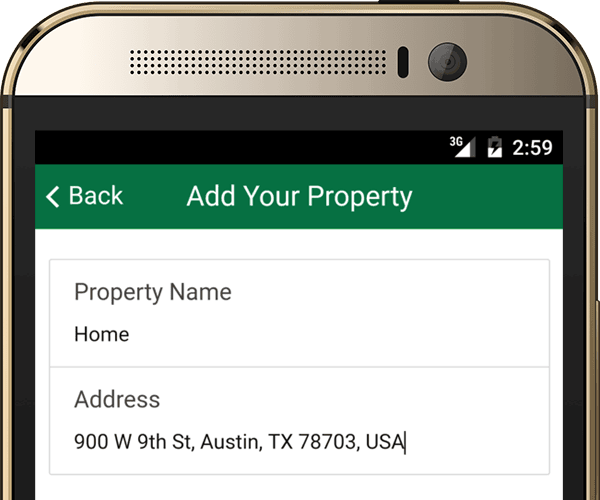 Just install the convenient LawnStarter mobile app on your Apple or Android device. Enter in your zip code to view a customized list of services available in your area. 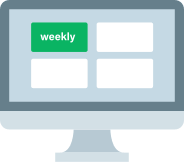 We'll send you a list of prices and potential start dates that meet your budget and schedule. Once you confirm, our skilled and friendly technicians will be right on over to make your lawn care dreams a reality. We even take special requests. No time? No problem. With LawnStarter, a lawn that will be the envy of your neighbors is no longer a fantasy. Contact LawnStarter today. We’ll make your yard gorgeous while you spend more time doing what matters most to you in Broken Arrow. I'm very happy with the work Miguel keep up the good work! Law looks great. Very impressed with service so far. My husband and I are very, very pleased with the way our yard looks following Robert's work on it yesterday. The lawn looks great front and back, and the edging and leaf blowing have the driveway, curb, and walkway looking neat and tidy. Highly recommended! Beautiful work as always by Leopoldo and his crew. My lawn is always trimmed neatly, clean up is fantastic, and his team never leaves a trace otherwise. Highly professional. Looks so beautiful and neat! His team did a great job! Thank you very much, an awesome job. Never falls short of great. Edges look good. He did an awesome job!!! Mowing great - didn't take up any of the leaves or trash. LawnStarter pros will let you know what your lawn needs. 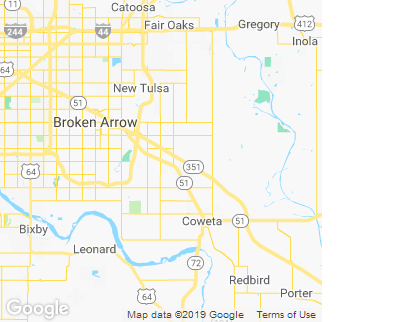 Here are some recent recommendations for extra lawn services in Broken Arrow, OK. Description: Full yard Blow ,rake remove all leaves from perimeter of house /and flower beds,bag and remove from property.. Description: Leads on side of House. Work to be Done: get a quote to spray some roundup to kill all of the weeds in these three areas. Items Needing Service: trees behind the japanese yuu hedge. Work to be Done: cut these trees completely off. Looking for a knowlegable outdoor maintenance service that handles professional lawn service in Broken Arrow? Then Jordan and his crew are your solution! J. Wood's Lawn & Landscape is one of Broken Arrow, OK's top horticulture experts. Need leaf blowing, lawn maintenance, weed removal or something else? Look no further! #4-Mckay's Lawn Care Service LLC. Wanting to hire a capable lawn maintenance company? Mckay's Lawn Care Service LLC. is a lawn maintenance company that commonly does lawn service, flower bed mulching, and irrigation maintenance. They can also provide quotes for coy pond maintenance upon request. Need a budget priced grass cutting company? P. Shuler's Lawn And Garden is a grass cutting company that commonly provides grass cutting, leaf removal, and gutter cleaning throughout the Broken Arrow area. Seeking an estimate from a communicative lawn maintenance company? Louis's Lawn Treatement And Landscape is a lawn maintenance company that specializes in grass mowing, grub treatment, and leaf blowing. They can also provide quotes for concrete washing upon request. Are you needing to hire a gardening service that often provides top quality work? Fred's Lawn Care Service often provides lawn work as well as pest control, flower bed installation, and more throughout Broken Arrow. P. Francis's Lawn Solutions is one of Broken Arrow, OK's top horticulture professionals. Need aeration, lawn work, tree pruning or something else? Look no further! #15-Darryl's Lawn Care Service Inc.
Darryl's Lawn Care Service Inc. specializes in landscape maintenance, but also provides bush trimming and grub treatment. We are also one of the few home and garden maintenance services in Broken Arrow that provides concrete staining. You can rely on Darryl's 17 years of expertise!